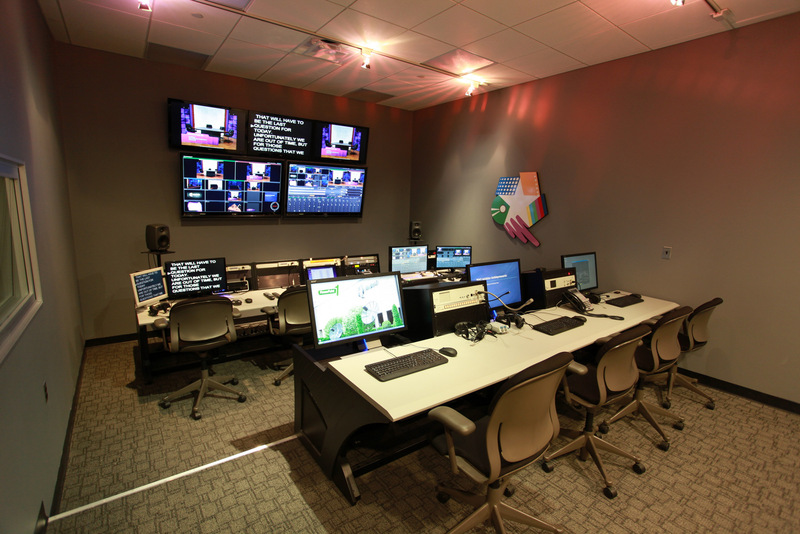 MediaMix Studios is a full-service TV studio and video production facility. MediaMix Studios is a TV studio and video production facility located in Allendale, New Jersey, about 30 minutes from Manhattan. We boast two beautiful sounds stages, full video and audio control rooms, two edit suites, private client offices, dressing rooms, wardrobe room, spacious green room, and so much more. Keep in mind that we can also go to your location, bringing the TV studio to you, regularly serving clients in NY, NJ, PA, MA, and beyond. Have gear… Will travel. Look for the link at the bottom of the page to take a tour of MediaMix Studios. What is so great about MediaMix Studios? We have two great sound stages, both drive-in capable. We can supply gear and crew. We own the gear and the building. Since we don’t have to go out and rent it, you save. We are very easy to get to. Whether your driving, taking the train, or the bus, we are just off Route 17 and about five minutes from New Jersey Transit bus and rail stops. And we’re IN THE ZONE. Visit us in Allendale, New Jersey. You’ll notice that we are quieter, have more free parking, and are less expensive than many studios, especially ones in New York. See how we provide top-notch, superior service. MediaMix has been in business for over 25 years, helping the corporate, medical, and advertising communities deliver their messages clearly, effectively, and cost-consciously. Give us a call. We’d love to hear from you. (201) 262-3700 or email us. Full HD control room for Studio A or B. Monitor and shade cameras, IFB, RTS, PowerPoint, Skype, video record & playback, live streaming. Click for info. Audio control room with sound booth, phone patch, Skype, and more. Click for info. Green room and production offices. Click for info. Typical shoot in Studio A. Click it to view!